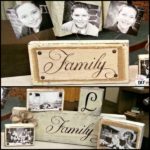 I’ve got another great pallet project for you! 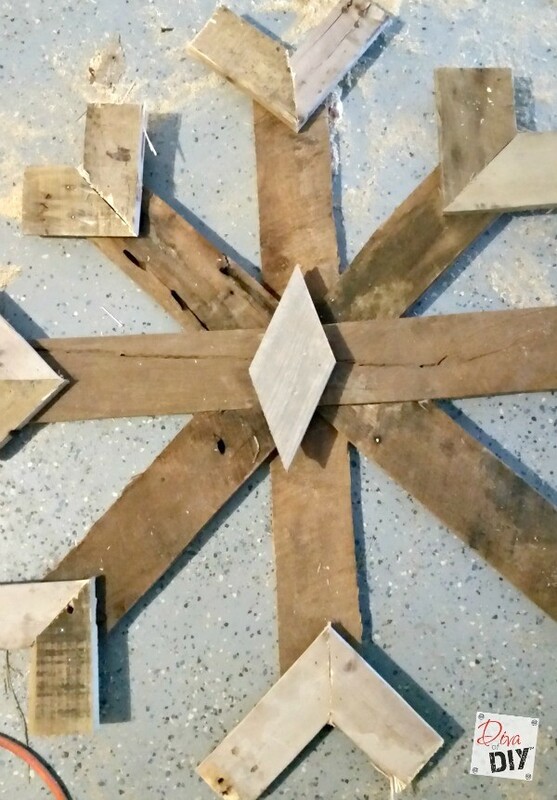 I am obsessed with this snowflake made out of pallet wood! 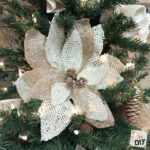 You can make them any size you need for you Holiday decorating. 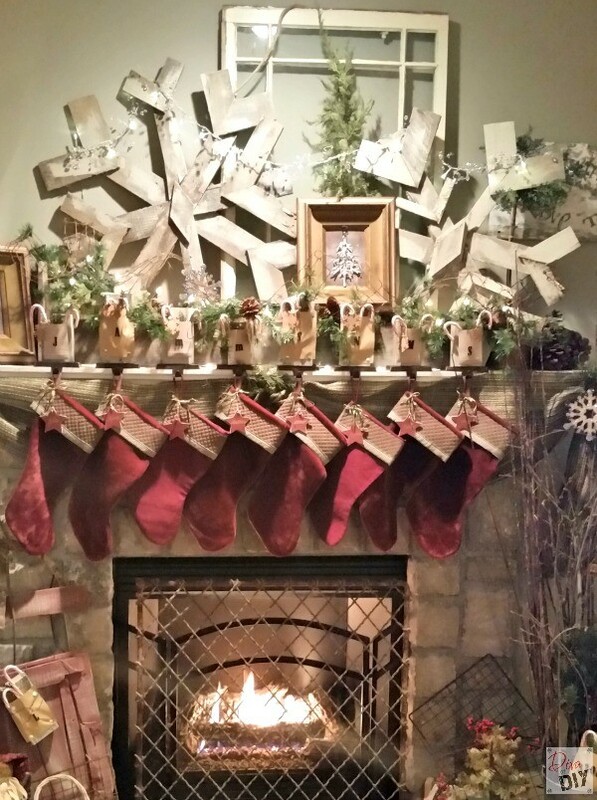 Check out how great they look on this mantle! 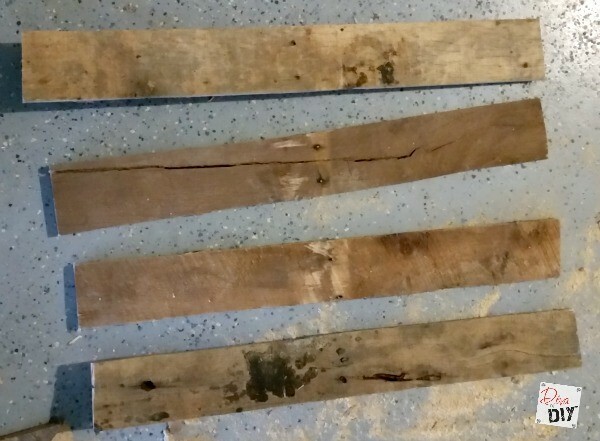 Step 1) Start with 8 pallet boards cut the same length. 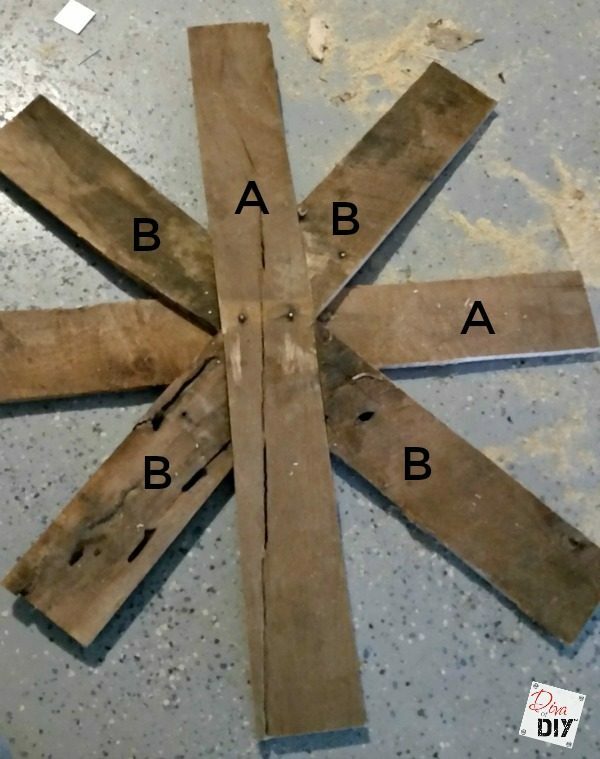 The length you choose for these 8 boards will be the approximate diameter of your snowflake. 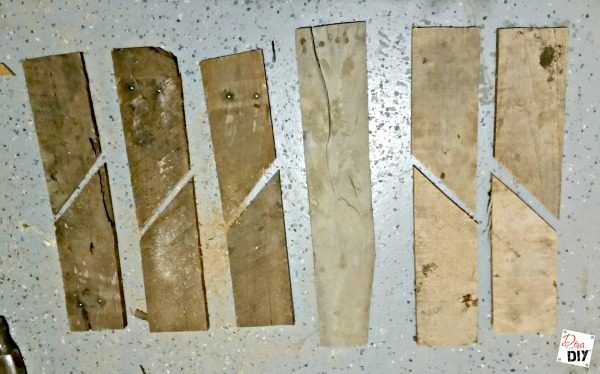 These boards will have straight edges. Set 2 of the boards aside (we will call these 2 boards “A”). 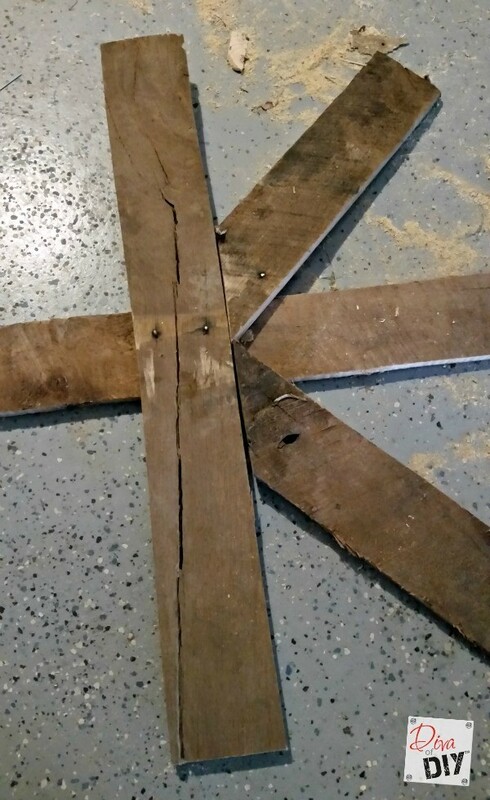 For this snowflake, I cut the boards 28″ long. 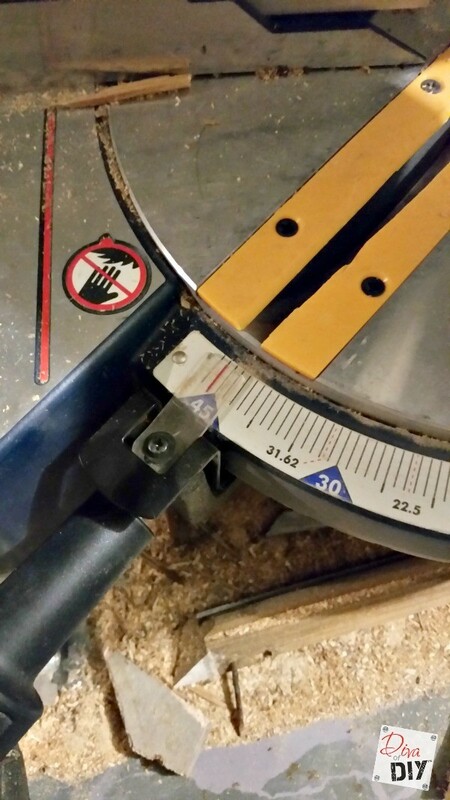 Step 2) Position your mitre saw to cut at a 45 degree angle. 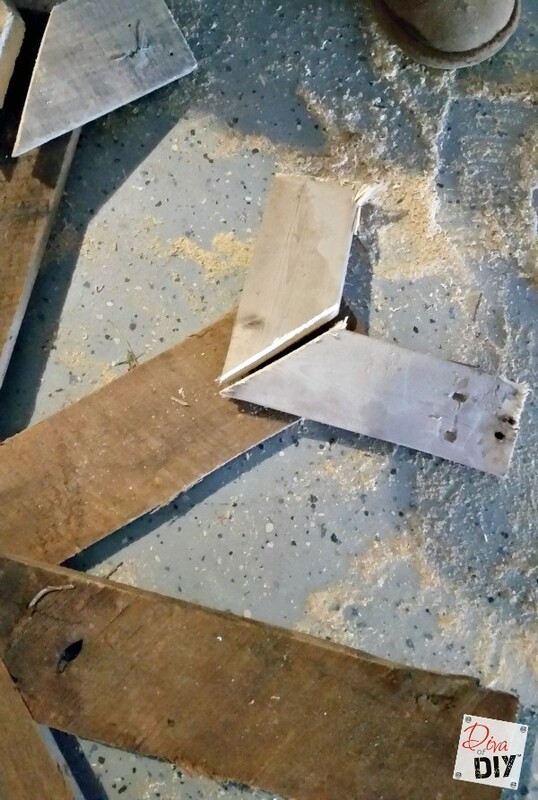 Step 3) Take 2 of the boards you cut in step 1 and cut them in half with a 45 degree angle. 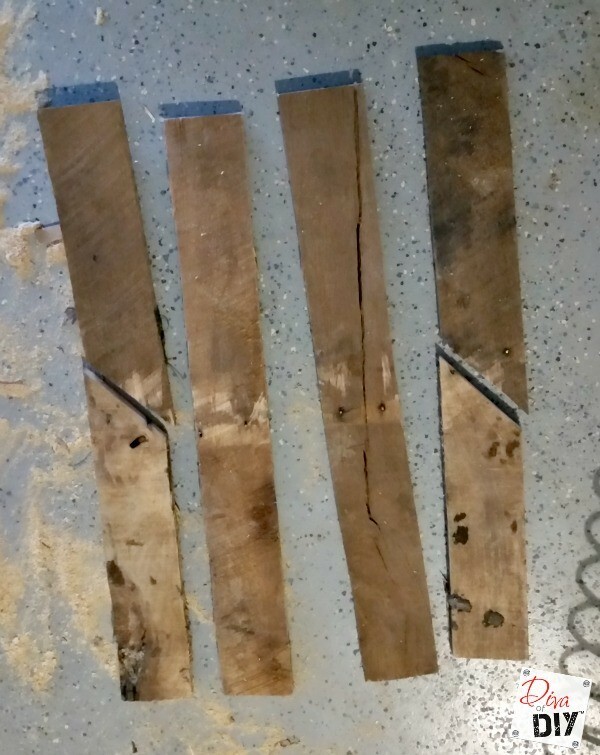 Step 4) Take the other 4 boards from step 1 and cut them in half with a straight edge and then cut them in half again with a 45 degree angle. Step 5) Grab the 2 long boards “A” that you had set aside in step 1. 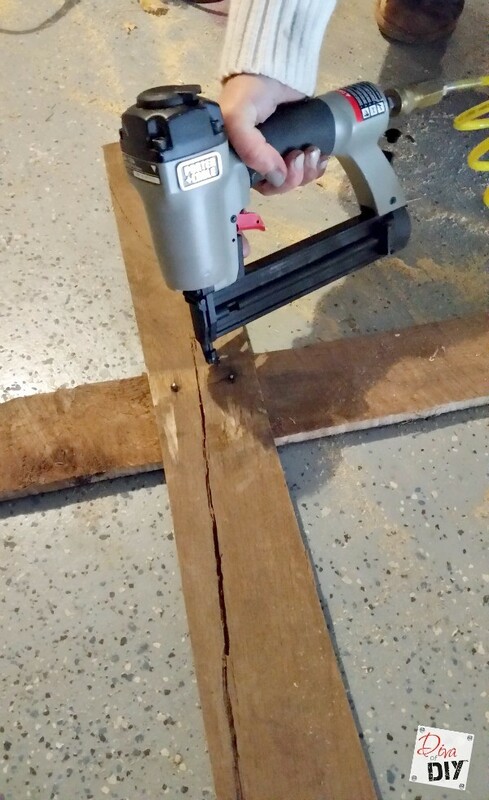 Lay one on top of the other and attach in the center with your nail gun . Step 8) Grab your “B” boards and position on your “A” boards like the picture above. Secure with brad nails. Step 9) Repeat with all 4 “B” Boards. 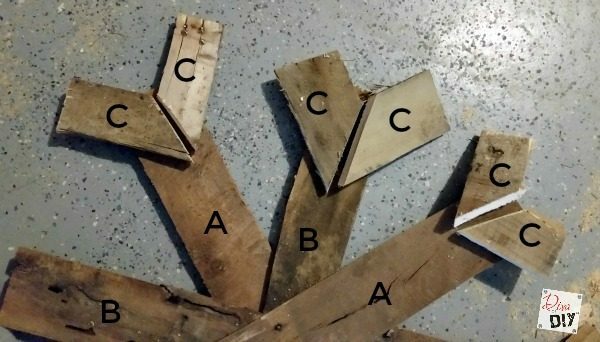 Step 10) Take your “C” boards and attach to the ends of your “A” boards and “B” boards. Step 11) Repeat step 10 until all ends are covered. Secure with brad nails. Step 12) Add a decorative piece to the center. I made mine by taking a leftover piece and cutting both ends at 45 degrees. I secured it with a couple of brad nails. Step 13) Leave the snowflakes raw or paint them, dry brush them, even glitter them! I love your snowflakes! They look fantastic! Thank you! I would love to see yours if you make some! Oh these turned out fabulous!! Can't wait to give them a try!! They look so awesome up there on the mantel!! Thanks Sam! 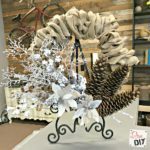 They truly are one of my favorite Winter decorations! Thanks Lindsay! Hope it got your creative juices flowing! These look complicated but they are really easy! I would love to see photos! 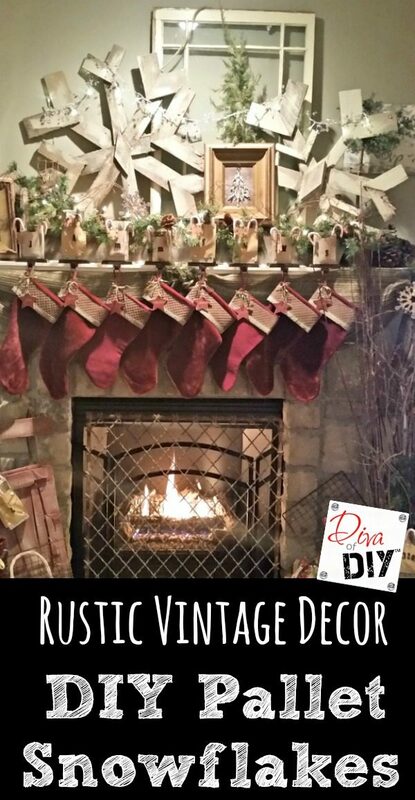 Send it or post it on our Diva of DIY Facebook page! We love to share them on there! I can't wait! Awesome! I'll post it on the Facebook page!